Why disappointing results doesn’t necessarily mean your approach is broken. 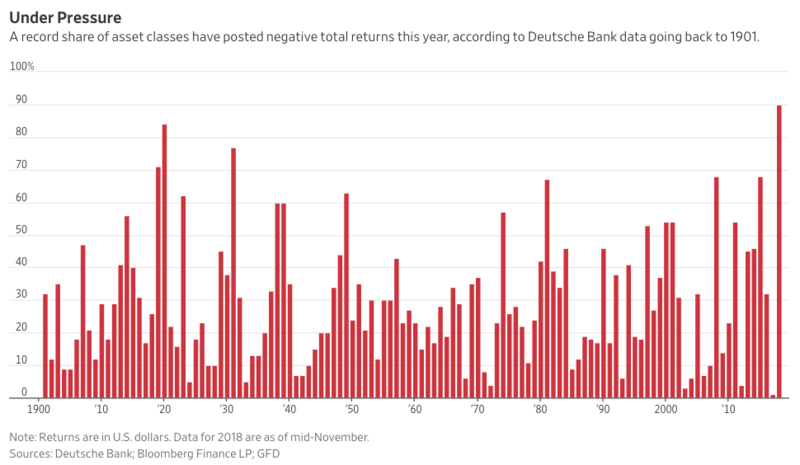 For many investors, 2018 was a challenging year. Diversification failed to help investors as most asset-classes finished with losses, more so than any other time in history. In listening to both investors and their advisors, I have noticed an attitude that professional money management has failed them. Despite the sea of red returns, investors expected more and anything less was unacceptable. After all, it had only been a year ago that the S&P 500 had finished 22%, with international stocks doing even better. When you go fishing in a lake with no fish, your probability of catching one is zero. And last year, there were very few places to fish for returns and expect a positive number as the following table demonstrates. Be willing to acknowledge the role of luck. In the book, Thinking in Bets, Annie Duke, a former professional poker player, talks about luck. She explains that people do not like the idea that luck can play a big role in our lives. While we know luck exists, we often resist the idea that even though we work hard and put forth our best efforts, things don’t always turn out the way we want or plan them to. To survive, our brains are wired to quickly create order out of that chaos. I have written and spoken extensively on the importance of understanding sequence of return risk. By understanding sequence risk, an investor learns how the year in which they are born will play a significant role in their future investing success or failure. Buy and hold worked for an investor who retired in the early 1980’s but the approach was a total failure for the first decade of the 2000s. That is just “luck” as it played out against a specific investment style within a window of time that the investor had no control over. Ideally, as investors, we want to use robust systems that work well the majority of the time and that minimize the element of “luck”. I favor rules-based (read emotionless, data-driven) strategies with built in downside risk protection supported by real-world evidence. Professional poker players have a demanding job. They must make up to 20 decisions within two minutes and win or lose a sum of money that would buy most of us a new home. There is always an element of luck that can dictate the outcome of a hand. How does a professional poker player know the difference between skill and luck? Don’t be guilty of “resulting”. Ms. Duke first has us imagine the best and worst decisions we made last year. We generally consider decisions that worked out well as “good” and the decisions that didn’t work well as “bad.” We naturally link the outcome of a decision with its quality. Professional poker players call this “resulting” and they rigorously strive to avoid it. I think it is important for investors to separate results from their investing process. In the financial markets, uncertainty is the rule and all that we have are probabilities. Past is prologue and the best we can do to increase our probability of future success is to find robust investment frameworks in past data and constantly apply them to current markets. What this means is that any rule or investing approach will at times be subject to luck. No outcome is ever certain. 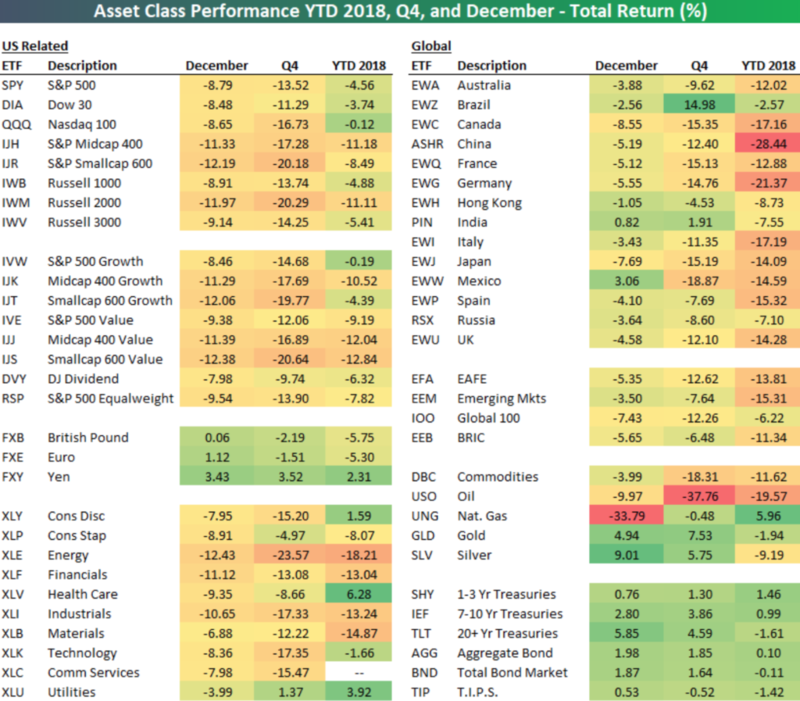 In reviewing last year, I discovered that many investors focused almost exclusively on the S&P 500 as it was the only asset class positive for much of last year. (the result) Call this a selective bias, made more evident in hindsight, that made some investors question diversification (the process) itself. But just a poker player must evaluate the decision-making process, so should an investor. What investor, striving for long-term success, would purposely pick only one asset class going forward? Every poker player has had bad luck, but the great ones continually ask: “What could have been improved in how I played that hand? Where did my decision-making process fall apart?” Sorting out the difference is the key to becoming a great poker player. Successful investing is about seeking known processes that provide an “edge”. Likewise, finding the right investing process in the face of randomness in the markets may seem challenging. The many factors that influence public companies and their stock prices are not predictable; they impact our investment outcomes in the short term. Factors rotate. Nothing is ever constant. But over the long term, investors who understand how to use probabilities to their advantage are more likely to succeed. Robust, dynamic systems supported by data over a variety of economic regimes will likely continue to perform better than strategies geared to specific market conditions. In reviewing our own models last year I can say that while I didn’t necessarily like the outcome in every case, the results were not necessarily due to a flaw in our process. Lady luck was not kind. That said, it’s important that investors understand that there are no free lunches. A buy and hold approach assumes market risk. A tactical strategy, rules-based or otherwise, assumes process risk. But like successful poker players, investors who understand these concepts, do make money in the markets. 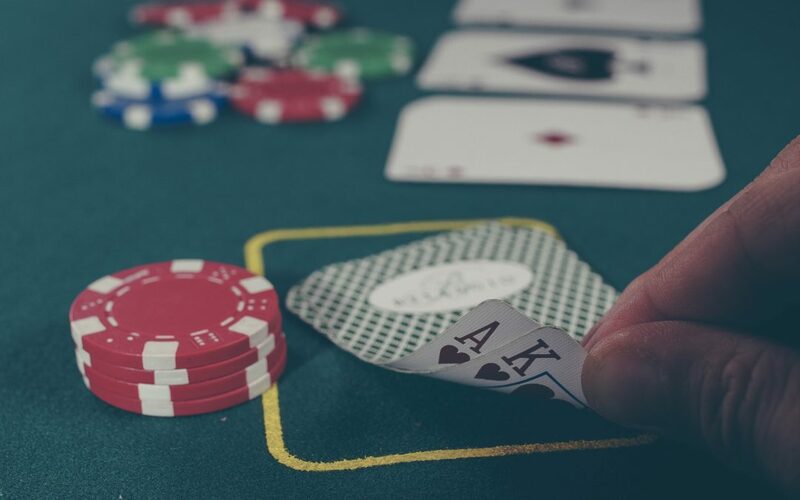 They understand that good process does not always mean a winning hand with each deal of the cards but the consistent application of a proven process that tilts the “edge” in their favor will reap long term rewards. Let us personalize your discovery of rules-based investing. I am an individual doing my own investing looking for more sophisticated strategies. I am an individual investor wanting to work with an advisor familiar with quantitative strategies. I am an advisor interested in outsourcing portfolio management. I am an advisor interested in receiving trade signals that I will implement. I am interested in white labeling a model for my own use.